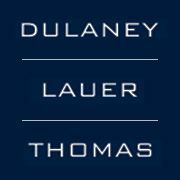 "My experience with Dulaney, Lauer & Thomas became more than a simple case of signing papers and talking figures. Mr. Thomas recognizes the need to be supportive as well as brutally honest. I appreciated his candor and because of this, I also consider him a friend. I'd recommend this law firm 110% because they truly do put the interest of the client at the forefront."